Is Parrot the Canary in a Coal Mine…or, simply a bird that failed to fly properly? Recent news stories such as this one at Marketwatch have reported sagging drone sales and massive layoffs at the French Drone maker Parrot. In this article we delve a little deeper in the stories behind the story. Or couldn’t do – which turned out to be the case. Sadly, the story of Parrot and their consumer drones is turning out to be a classic tale which perfectly reflects our own personal experiences with the brand. The French company announced today that it was laying off about 1/3 of its employees after poor drone sales in the latest quarter. One story (at the Verge) mistakenly references “due to industry downturn” – where, in fact, there is no such case. The Consumer Drone Industry is booming and sales are expected to be up 50 to 80% in 2017. The problem for Parrot is that those sales are being made by DJI and to a lesser extent by Autel and Yuneec. As mentioned above, the AR Drone was the first flying robot I lusted after – and, so, I plunked down my $300 and bought one direct from the Parrot online shop. After receiving it. I read the manual, charged the battery, downloaded the operating app and headed outside for the maiden flight. I set the drone down on the sidewalk and hit the “takeoff” button on the app – the motors fired up and the drone took over and hovered at about 3 feet high – while I stood there marveling at it’s intelligence. Never before had I seen a craft just hover in the air under computer control – so this was like the Holy Grail to someone who flew model rockets and was a HAM/Computer/Tech freak for decades! That, unfortunately, was the high point in my Parrot Drone experience. 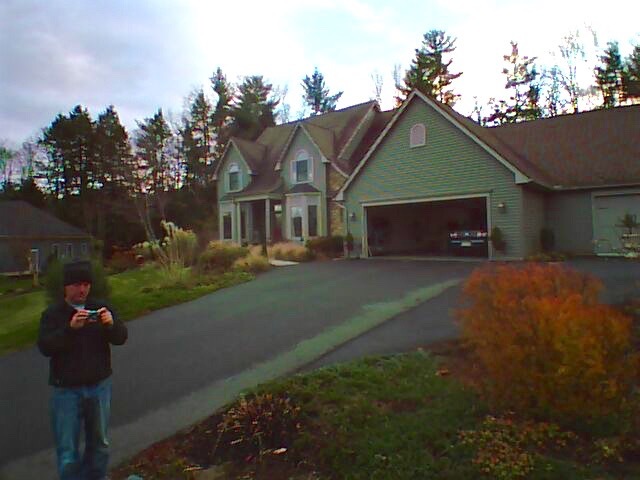 I spent the next couple of days chasing the AR Drone around the neighborhood trying to make it land – even using the emergency shutoff (didn’t work) when it flew away. The upside is that I got a couple pictures from REALLY high up. The downside was that it completely failed as a consumer device. If you had to give it a 1 to 10 rating it would be a 1 or a 2 – 2 being generous. How could this be? I’m not the type to take failure lightly so I ventured online to see what was up. Turns out the range of the AR was very limited and its behavior poor. However, one must keep in mind there wasn’t much to compare it to – it was the only advanced consumer drone being made at the time! Maybe this was just the “way drones are”? I did hours of research and it turned out that the only folks really having success with the AR Drone were those who did modifications – especially one where a real R/C TX (Remote) could be hooked up to it. By that point I had crashed my AR a couple of times and it wasn’t flying any longer – so I decided to sell it for parts and start over trying to get into this “drone thing”. I did so by starting at the bottom and buying a couple “toys” which, although not fancy or smart like the AR Drone, did actually work. But, alas, my dream of taking decent pictures and videos from the sky was temporarily stunted. Parrot came out with an AR Drone 2.0, but still failed to add a real remote controller. The idea MUST have occurred to them, as they had a lot of engineers and they were familiar with what successful users were doing with the modifications. I suspect that someone at the top was myopic and refused to learn from the feedback. Fast Forward a couple years and Parrot came out with the new BeBop. We bought one to review – and, frankly, didn’t even complete the review because we found so many shortcomings in the product. BeBop was an incredibly advanced consumer drone – yet it seemed to need a rocket scientist to understand and operate it. Once again, flyaways, short range and other poor behavior was experienced. Here is the our unfinished review on the original BeBop. Third time must be the charm – when Parrot came out with the $99 Bluetooth operated Rolling Spider I ordered one from the Apple Store. It flew away. So did those of many customers. Here is our review link. Parrot has some great engineers. Their designs were years (light years, really) ahead of others. But for some reason, the organization decided that consumers are/were fools and would buy a bunch of drones (toys included) which were semi-disposable…and that would be that. Despite years of studying the market, they failed to see that THEY could have been the leader. They accepted poor QC, released products which were not ready…and in many cases, didn’t ever make them so. This caused them to lose the entire “influencer” market (RC experts, photographers, videographers, early adopters) before they ever penetrated those markets. They choose a bunch of new and unfinished products, mostly toy-grade, over concentrating on a solid and long term goal of a flying robot. Interestingly enough, Parrot is well known and well regarded for some commercial and agricultural drones. These sell for many times the prices of consumer drones, so it makes sense that they know how to make a reliable product that provides value. AR Drone – yes, they still make it after 7 years. BeBop – Available in Bebop 1, Bebop 2, and other SKU’s with Skycontroller and/or FPV Kit. and probably some I am missing at first glance….. This is quite an extensive list of SKU’s, especially since many are available in multiple colors and configurations. All of these models combined added up to approx 100 million dollars in 2016 revenue for Parrot. As a demonstration of the “focus” issue, consider that industry leader DJI sold 400 million dollars worth of one model (Phantom 2 Vision plus) two years ago…and it came in one color – while – and one SKU! It doesn’t take a rocket scientist (or drone engineer) to see the folly here. Would Apple make a toy cell phone or tiny $99 flip phone? Or do they generate most of their revenue from a single product which they have dedicated most of their resources to? Industry insiders and experts indicated that Parrot CEO Henri Seydoux is no dummy – he is highly regarded by most all familiar with the trade. However, to quote Forest Gump “Stupid is as Stupid Does” – which makes me wonder – just who is responsible for this massive chain of missteps? The company is small enough that it is unlikely to be anyone by the team at the very top which has followed this path to potential ruin. There is little doubt as to what could have been. The AR Drone and the BeBop, if they had been done right, should easily have established Parrot as a solid #2 in the consumer drone space. This could have then financed their foray into other (commercial, industrial, agricultural) as those markets developed. Smart business is a matter of learning from each mistake made – as well as learning from the mistakes and success of others (modeling). When Parrot saw that the real users of the AR were ALL doing a modification so they could use an R/C controller, they should have came out with one. Same with BeBop….should have come with a “mavic like” small controller for an extra $199 at launch. If that had been the case and it worked well it would have took off. Interestingly enough, Parrot has finally done just this – the new BeBop 2 FPV kit is selling quite well on Amazon. Parrot has always had slick marketing – in fact, probably too slick! In most all cases, the videos and claims showed the models being used in ways that the buying public could not easily replicate. Setting high expectations – and then not meeting them – assures an unsatisfied customer. As a blogger, author and member of the drone press I don’t think I’ve ever gotten a direct communication from Parrot. However, DJI and other companies keep me (and presumably 100’s or 1000’s of others) in the loop and even communicate personally on occasion…such as sending us a pre-release model to review or discussing the market in general. Our recent request to review a BeBop 2 was answered with “fill out this form” which we did, and haven’t heard anything since. Suffice it to say that Parrot has to step up their USA “ground game” if they want to be taken more seriously in the consumer camera drone market. If Parrot was just another flailing (or failing) drone company it wouldn’t even be worth writing about. Many drone companies are silently folding or shrinking in the face of the competitive pressure brought on by industry leader DJI – but that’s not the case with Parrot. Parrot singlehandedly created the consumer drone market and designed and engineered advanced units – BUT, they only went 1/2 way from “here” to “there”. A successful enterprise is comprised of many gears and cogs and they must all work in sync for the final product to flourish. Sadly, this has not been the story of Parrot. Parrot always seemed to think they knew what the public wanted or needed…instead of looking at what people were actually doing (or trying to do and failing) with their drones. In order to move forward, Parrot must first realize that a complete change in their way of doing business – from top to bottom – is needed. ALL resources need to be put into a small number of advanced products which WORK and that not only satisfy, but DELIGHT the buyers. We are still at “Day One” in the consumer drone market and consumers are crying out for more competition in the marketplace. Parrot could, and should, be one of the “greats” in the new and emerging market of aerial robotics. We hope that the company can take the steps needed to make this happen.